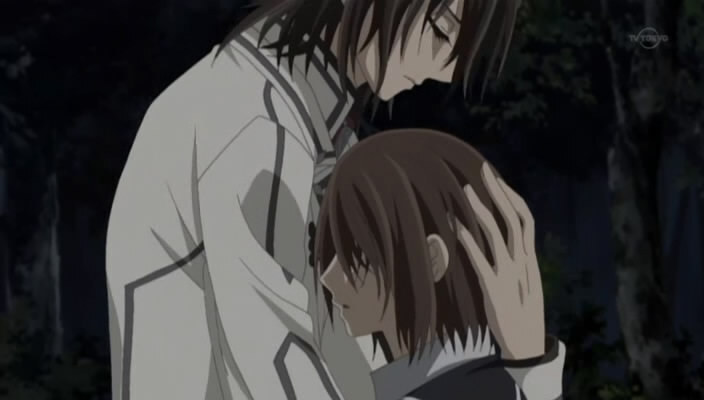 The episode starts off with Shiki returning to the dorms and Kaname threatens to kill him, talk about a nice introduction xD It seems he’s actually Kuran Rido, Kaname’s uncle! 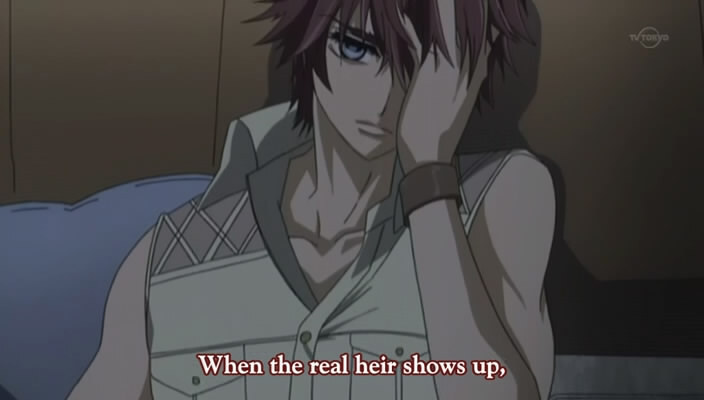 O_O However Takuma says he will protect “Shiki” and is on the side of the council. 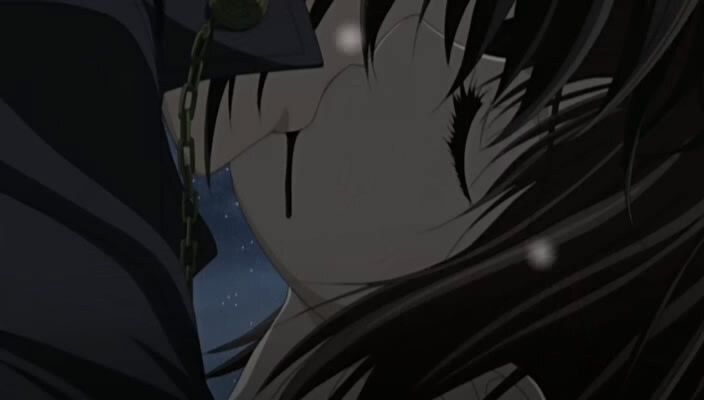 Not much happened in this episode really, it just continues where the last episode left off with Yuuki hallucinating blood everywhere o.O Then somehow she gets her pole out when Kaname is standing behind her and attacks him :O But it doesn’t do much damage and he just hugs her and says he loves her. This leaves her speechless and she doesn’t manage to ask her question. 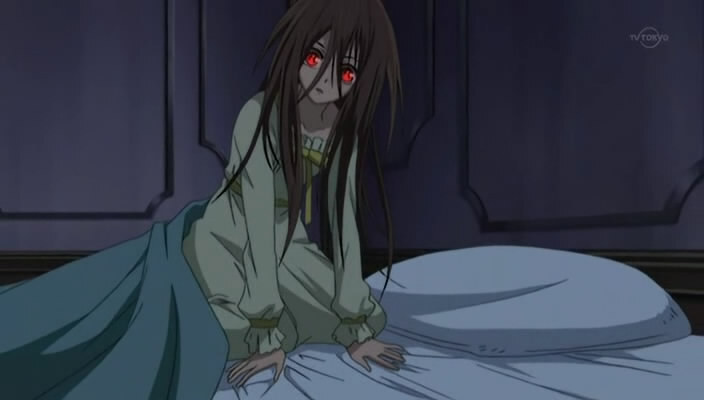 As the holiday is here now, Kaname goes to the Aidou residence leaving Aidou behind in the Moon Dorms. As Yuuki walks around town with her friend, she meets a boy who seems to have lost her mum so she goes and helps her find her mum. (It’s so obvious what happens later lol) She tells her friend to go home and the little boy then leads her to a big building where he kisses her and she falls asleep and the boy runs away.